On Saturday, we'll watch as President Obama enjoys his final White House Correspondents' Dinner as Commander in Chief. This year's host is Larry Wilmore, whose Comedy Central show The Nightly Show takes a different approach to discussing social and political issues. 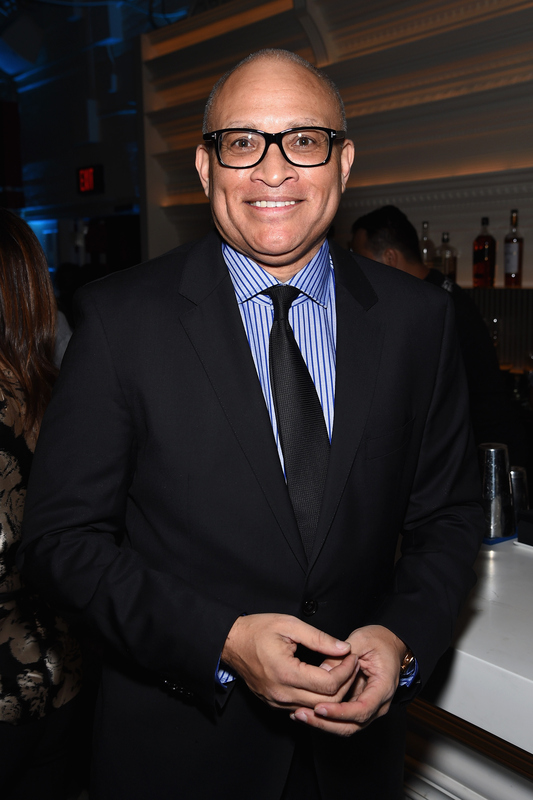 He's also one of the few black late night hosts — but is Larry Wilmore the first black host at the White House Correspondents' Dinner? The short answer is no, there are four black comedians who have hosted the dinner over the years. Keegan-Michael Key also made a brief appearance last year. That isn't to say that the job is historically diverse. Most of the hosts are white men who either host a talk show (like Wilmore) or appeared on Saturday Night Live. Only four women have hosted, including last year's host Cecily Strong, as well. Meanwhile, Jay Leno has hosted four times. Bob Hope hosted three times. Conan O'Brien and Al Franken each hosted twice. Larry Wilmore may not be the first black comedian to take the stage, but this is still significant. I should note that there are several black musicians who have headlined or performed at the White House Correspondents' Dinner. In 2003, Ray Charles performed in lieu of a comedian, which was the White House Association's decision following the invasion of Iraq during the Bush administration. Prior to that, Aretha Franklin performed in 1999 for Bill Clinton. Other black musicians who performed at the event when it was more of a variety show gala include Duke Ellington in 1964, Nat King Cole and Dizzy Gillespie, as well as a tap dancing group called the Four Step Brothers in 1954. Here are the four comedians who have taken the stage before Wilmore — it's a pretty impressive list, and let's hope it keeps growing. He hosted in 1968, during the Lyndon B. Johnson administration. I can't find any photographic evidence or quotes from the event, but according to The Washington Post, he was the first black comedian to perform at the event. According to Maureen Dowd of The New York Times, part of the comedian's presentation included "taunting Barbara Bush about looking like a grandmother" when he hosted in 1991. When Cedric The Entertainer hosted in 2005, he was following First Lady Laura Bush, who killed it, rather than the POTUS himself. The above clip focuses on Condoleezza Rice — remember her? The only black female and openly gay comedian to host is Wanda Sykes, who appeared at President Obama's first dinner in 2009. That's quite a legacy for Wilmore to follow, and that's not even including the fact that our President himself is a hilarious speaker. Still, I think he is going to be a great host. I can't think of anyone who I'd rather have toast Obama goodbye — with jokes, of course.